Rashid is employed as an E-Learning Assistant with Convergent Technology Co. Saudi Arabia (Al-Khobar) that serves King Fahd University of Petroleum and Minerals. His wide-ranging experience has covered assignments including three years working at ICAD Saudi Arabia on KAIA Project (New King Abdul Aziz International Airport) as an IT System Engineer, nearly three years for SP Solutions Point Pvt. 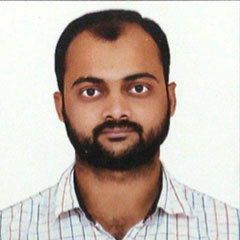 Ltd., and more than two years as a Customer Support Engineer at Grania Computers Co.
Rashid has received fully certified training from Microsoft following an advance Diploma in Computer Hardware Networking + MCSE & CCNA, from Oxford Software Institute South Ex New Delhi and a Training Diploma in A+, N+, MCSE and CCNA from NetKing India. BA, Computer Engineering, Delhi University, India, 2010.